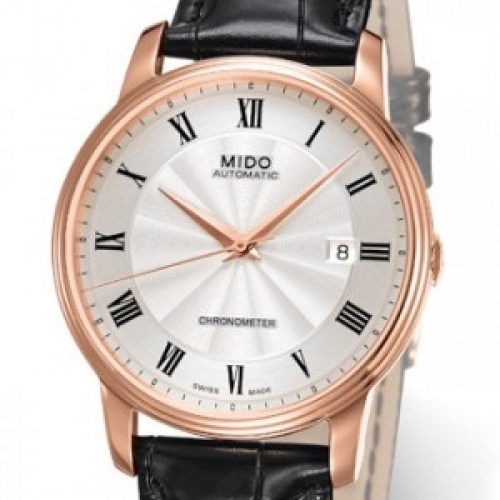 With the Barconcelli III Rose Gold 18K from Mido, time becomes sheer emotion. Like a classic stringed instrument, this chronometer embodies aesthetic purity transcended by a wealth of superlative details. The double 18K pink gold bezel extends into rounded horns lending the case a timeless elegance, while the dial features a guilloché pattern creating depth effects and finely printed Roman numerals. This COSC-certified timepiece is endowed with harmonious lines providing an endless source of fascination.